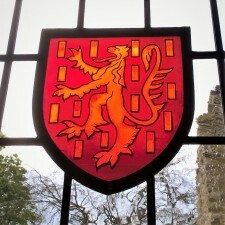 Based in the historical city of York, J Goodwin Stained Glass is a specialist glazing company delivering a high quality professional service to ecclesiastic and secular customers. Creating new new bespoke commissions, restoring & conserving historical glass, and installing window protection. We provide a complete specialist glazing service, from surveying and window condition reports, to small scale in-situ repairs, and the restoration of entire window schemes. J Goodwin stained glass provides an expert, professional and efficient service to help you complete your specialist glazing projects on time to a high standard. J Goodwin stained glass restore and repair period sash window glazing, encapsulate leaded glazing into double glazed sealed units, and create new window commissions for modern and period buildings. Small scale projects recieve the same level of dedication, quality and attention as our larger projects. We are happy to receive all enquiries regarding specialist glazing, stained glass & leaded light windows. "Joe Goodwin has carried out a considerable amount of glazing work to our grade 1 listed church. We are impressed by his knowledge, skill and passion for his craft, adhering to best practice methods in conservation. We have always found Joe to be reliable and thorough". All Saints Church, Roos, East Yorkshire. Joe Goodwin is a professional stained glass artist. He qualified with a BTEC HND in Architectural Stained Glass at the architectural glass department of Swansea Institute in 1998. 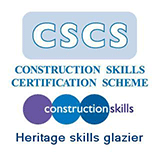 Joe went on to sucessfully complete a comprehensive traineeship at The York Glaziers Trust, responsible for the preservation and restoration of the stained glass of york Minster, which houses Europes largest single collection of Medieval glass.